one half a slightly raised wooden deck and the other half a covered area paved with concrete pavers. Wooden picnic tables fill both sections. The tiny brewery is visible through windows from the outdoor space. The beer selection is respectable for a brewpub; there were seven regular beers as well as a seasonal on our latest visit. Both the IPA and Imperial IPA are notable. I really enjoy going to New Old Lompoc Brewery because of its character. 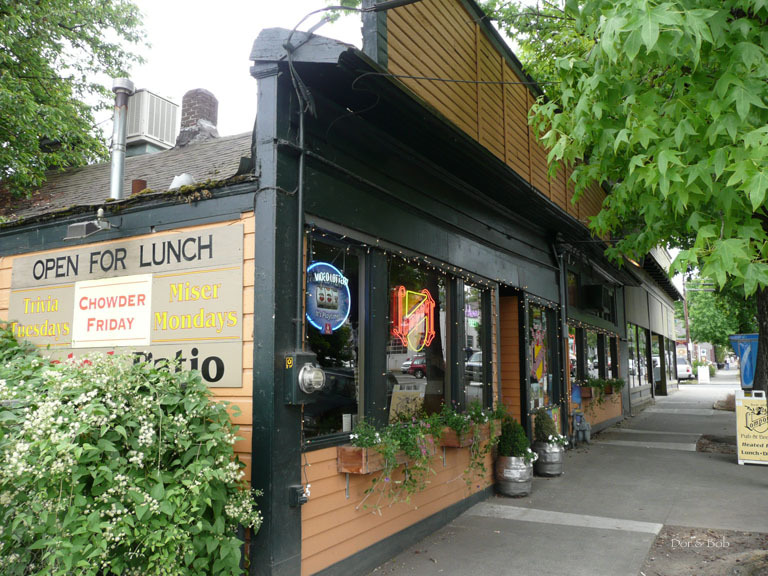 I have had soup there once and it was hearty, hot, and hit the spot. But I can't really comment on the cuisine because when I go to New Old Lompoc my focus is entirely on the beer. My favorite brew of theirs is the LSD, Lompoc Strong Draft. It's one of those crazy beers that just surround your tongue with flavor on all fronts: it's got great malt characteristics and it is as hoppy as a great IPA. I should warn you that two of these beers and your palate is pretty much blown for anything but their C-Note beer which I personally think is TOO big. But that's just me. I think my second favorite beer at New Old Lompoc is their Proletariat Red. It's a solid drinking Red with strong malt flavors swirling around and a husky finish. They also have a few good seasonal that I always make a point of trying when I visit. Unfortunately I don't live in Portland so my visits are only annual. 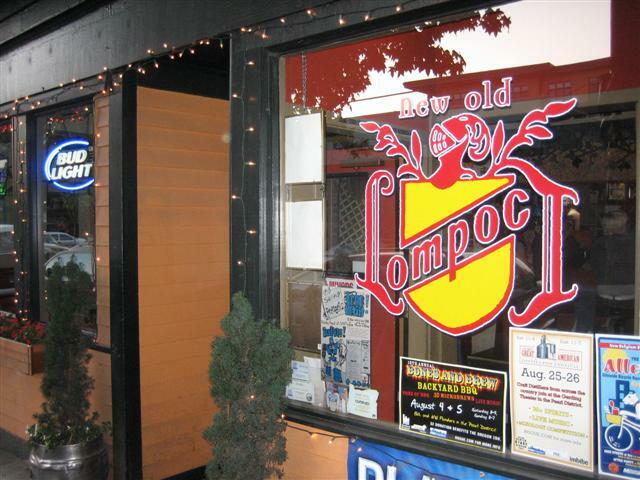 New Old Lompoc is less than a half mile stroll from the Lucky Labrador Beer Hall. 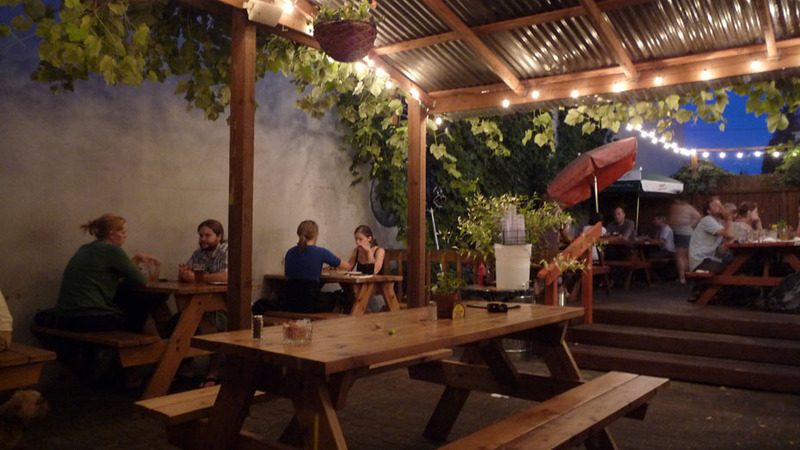 We moseyed down through some slighly industrial territory and found a table back in a dark corner of the Brewpub. The food menu is focused on sandwiches and pub grub and my sandwich was pretty good (great bacon!). The beers are all brewed on premises and the beers I tried were all solid with a hint of an English style malty-ness mixed with a focus on American hops. I guess this last sentence doesn't quite make sense, but that's the impression that went through my head after tasting two different offerings. Our service wasn't great, our food order was a bit messed up, but we didn't let that mess up our experience here. New Old Lompoc seemed a bit dark and it had a dive bar-ish feel to it. There was a tiny semi-circle shaped bar that was mostly full when we showed up. They do allow smoking throughout the establishment and not just at the bar. 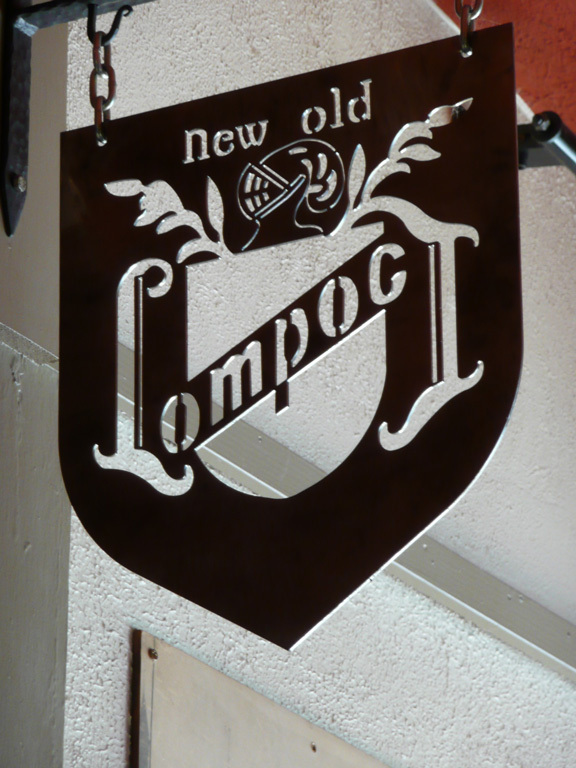 I enjoyed New Old Lompoc and it was nice to see a brewpub with a bit of unpolished character.